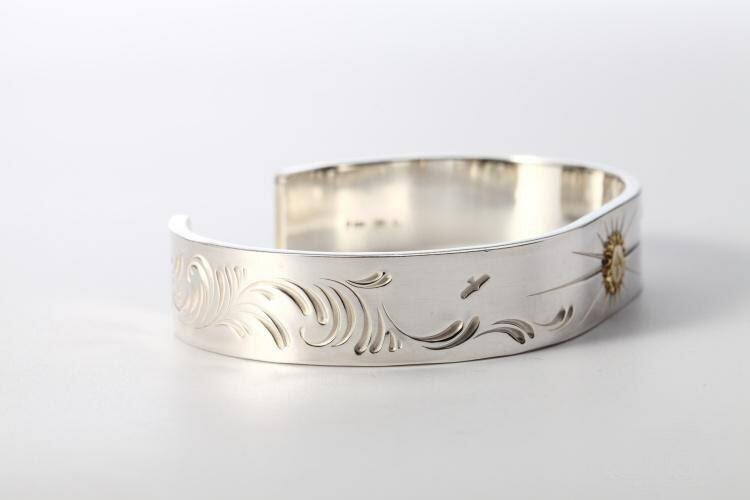 The engraved silver bracelet is crafted as an open silver bangle, decorated with engraved patterns inspired by Native American art. 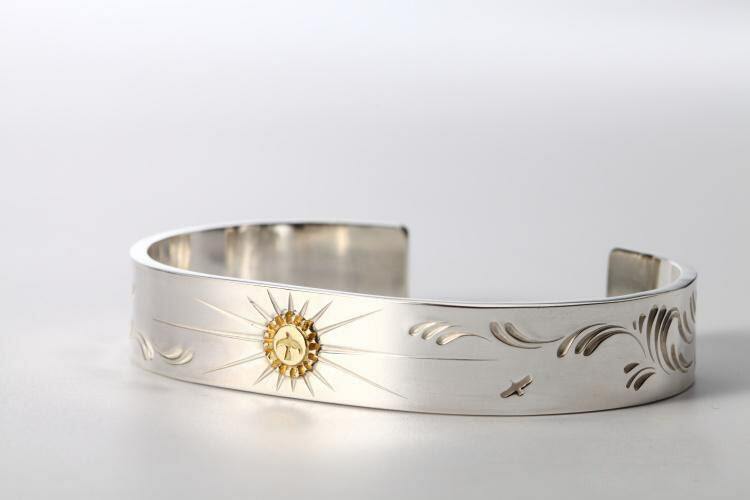 The highlight of the silver cuff bracelet is an 18K gold charm, right in the middle of the bangle. The flying bird charm has scalloped edges, with rays emanating in straight lines. 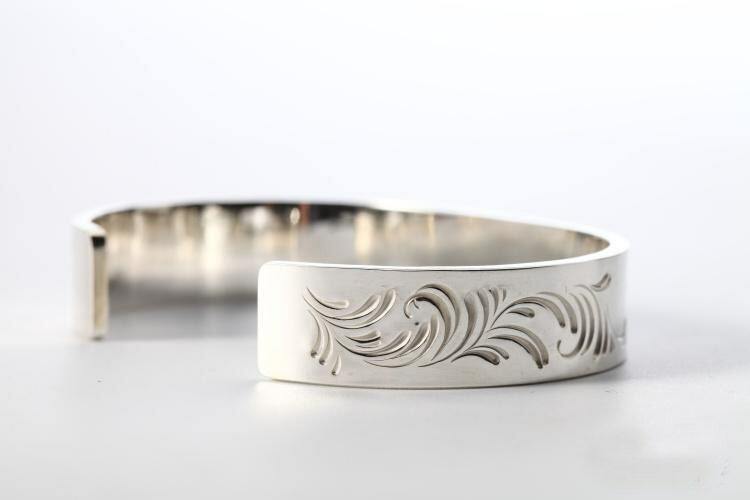 The rest of the bracelet is covered in Arabesque pattern engraved on it - you can imagine the gentle curves represent gusts of wind flowing over the Prairies. 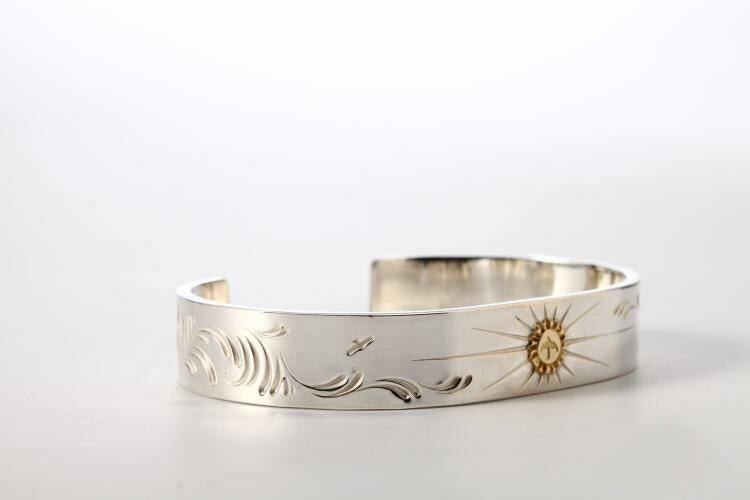 There is another tiny flying bird engraved just over these patterns. 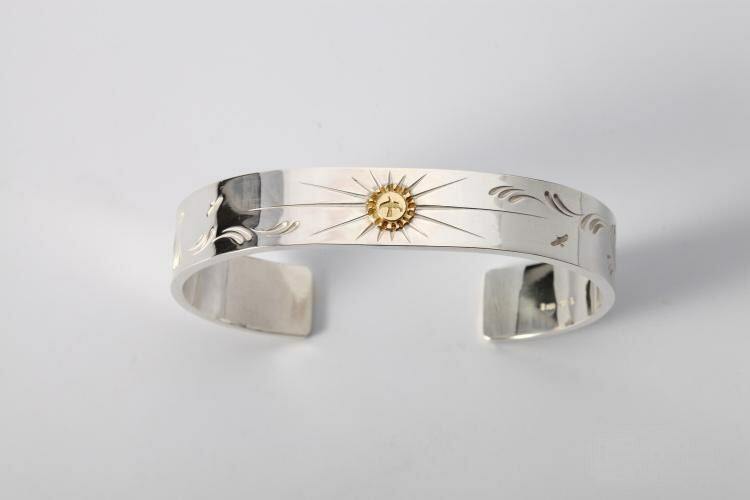 Material: 950 sterling silver, 18K gold.